June is treasurer and co-chair of the local network. She has been involved with the WHN since it was formed. Her research interests are in feminist and socialist history in Britain from the late nineteenth century to the Second World War. 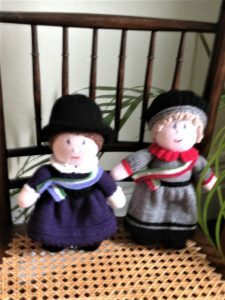 Publications include Isabella Ford (1989); (with Karen Hunt) Socialist Women: Britain 1880s-1920s (2002) and Feminism (2011). Recent publications on Bristol include Bristol Independent Labour Party: Men, Women and the Opposition to War (Bristol Radical Pamphleteer, 2014) and chapters in Madge Dresser ed. Women and the City. Bristol 1373-2000 (2016). Katherine is a founder member and co-chair of the local network and has also served on the steering committee of the National WHN, including a three year term as convenor from 2007-2010. Her main research interests are in historical perspectives on family, marital status and singleness. She is the author of The Shadow of Marriage: Singleness in England 1914-1960 (2007) and a British Academy funded history of nannies Nanny Knows Best: The History of the British Nanny, The History Press 2013. She is a visiting research fellow at the University of The West of England and a part time academic support worker for students with disabilities at Bath Spa University. Jane is the editor of our newsletter. She has researched and written a new introduction to the 2013 reprint of Maud Davies’s Life in an English Village. With Ruth Newman she has recently written Women in Salisbury Cathedral Close (2014). They also transcribed and edited William Small’s Cherished Memories and Associations for the Wiltshire Record Society (2011) and co-authored Salisbury Past for Phillimore. Jane is editor of Local History News for the British Association for Local History and on the editorial board of Sarum Chronicle. Elaine is a history PhD Student at the University of the West of England, Bristol, researching the narratives emerging from the Women’s Peace Camp at Greenham Common 1981-2000. A contributor to Performing the Self: Women’s Lives in Historical Perspective, ‘Women Activists: Rewriting Greenham’s History’ edited by Katie Barclay and Sarah Richardson (Routledge, 2014).